Limited number of tickets for the following concerts at a discounted price are available for Stay as Home cardholders (maximum two tickets for each). 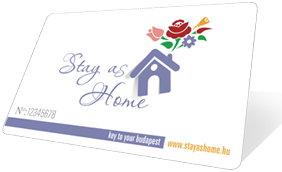 In order to register for the tickets please send an email until 27 November, 2012 to concert.dec@stayashome.hu. In the email please send us your name and your Stay as Home card number, the name of chosen concert and the number of tickets. If you are among the first 10 (or maximum 20) Stay as Home cardholders who registered for any of the below mentioned concerts we will send you a confirmation email a few days later with the details and conditions of taking over the ticket(s).